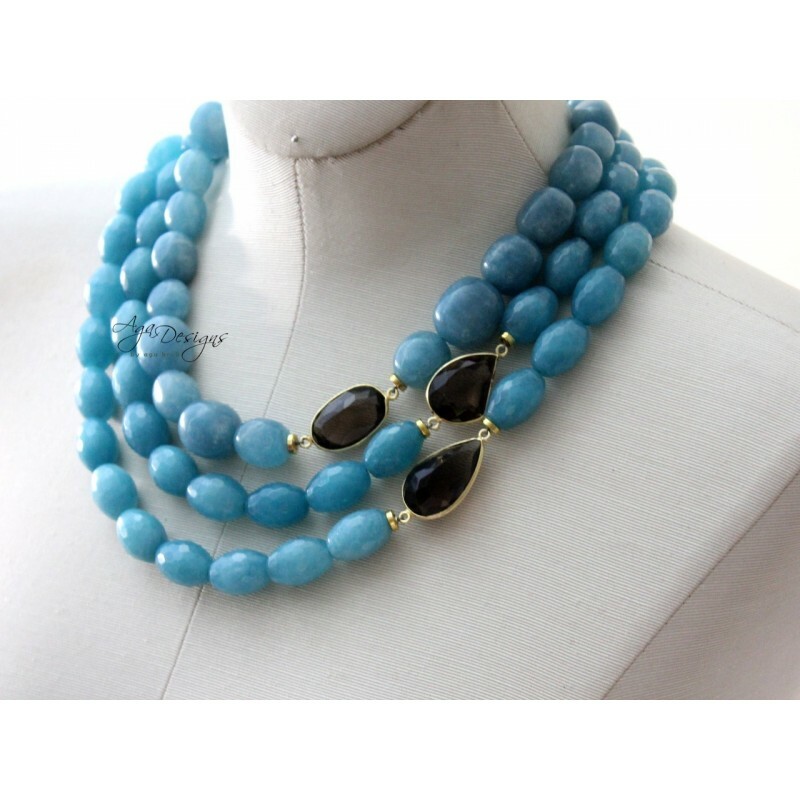 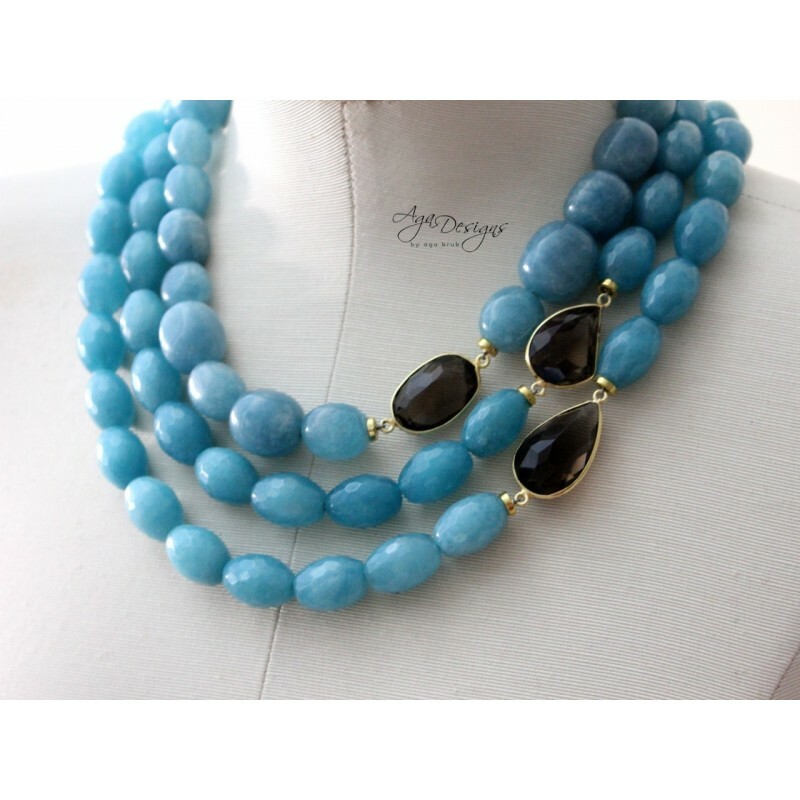 A classy 3 strands of Aqua stones and Vermeil framed Faceted Smoky Quartz stones. 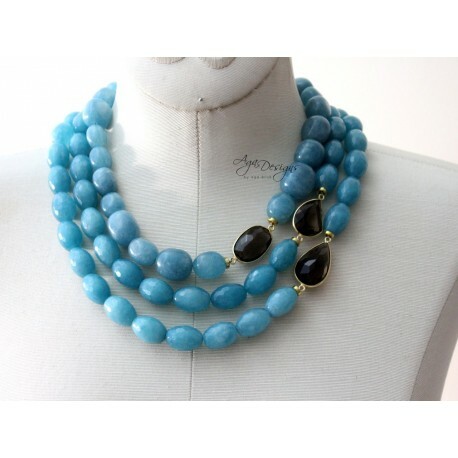 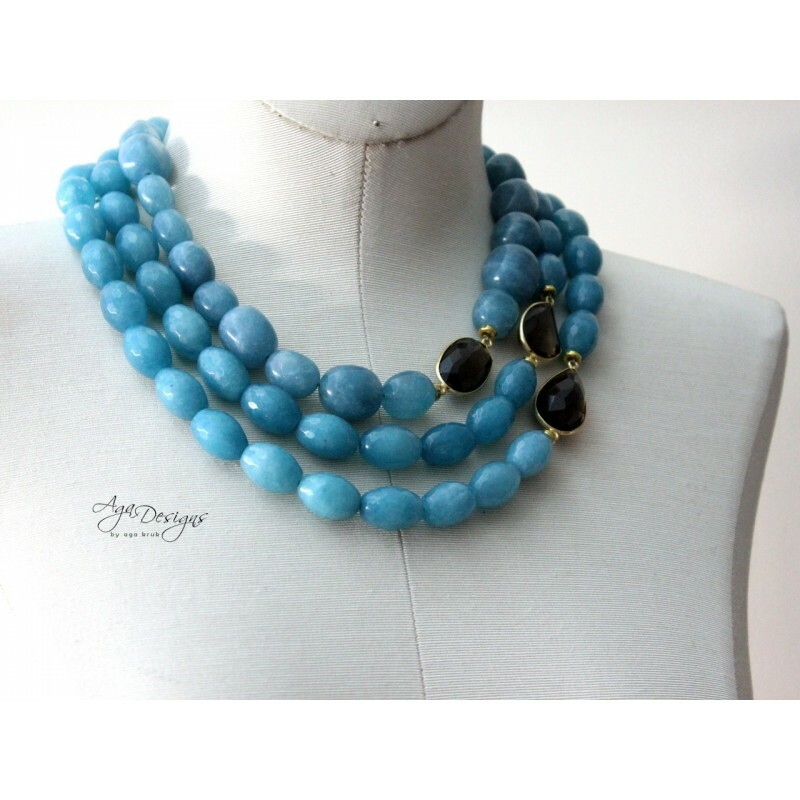 The Aqua stones are in rich blue color. 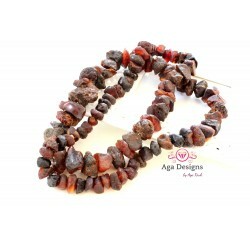 Beads are slightly graduated, so they are a little bit smaller in the back and get larger towards the focal stone. 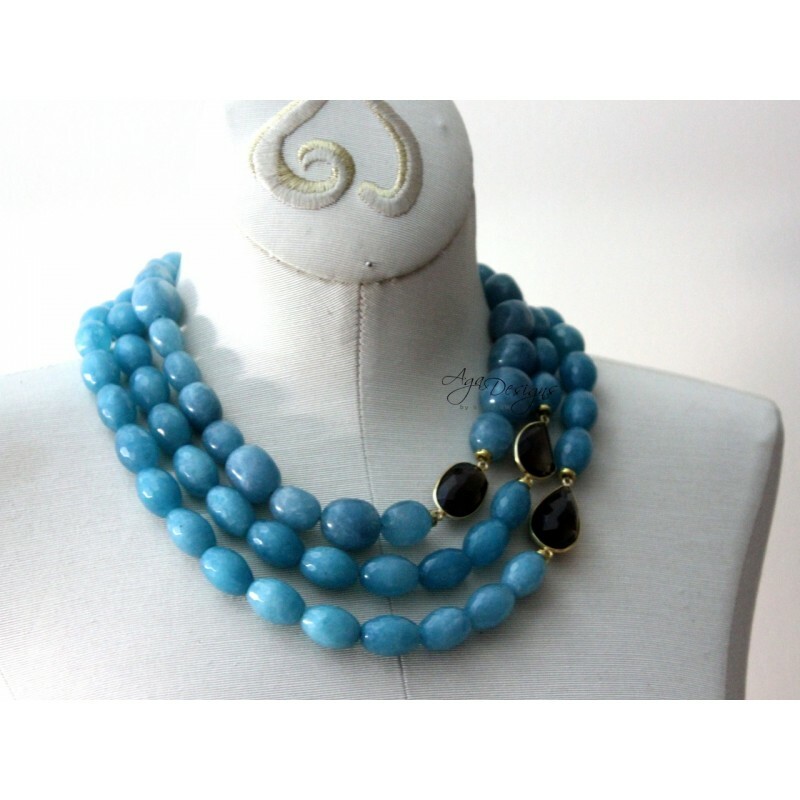 The handmade necklace ends with a 14ca Gold Filled clasp and solid ring. 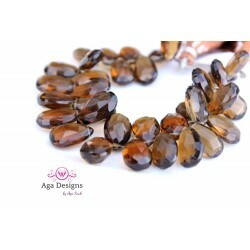 The faceted Smoky Quartz are approx. 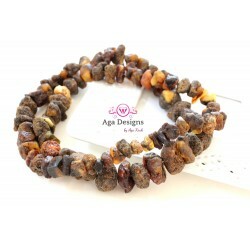 26mm long!